Few animals on this earth spread more terror than the white shark, even though incidents that involve humans are very rare. On the other hand, thousands of white sharks annually perish as bycatch of commercial fishing, which is why they are an endangered species. 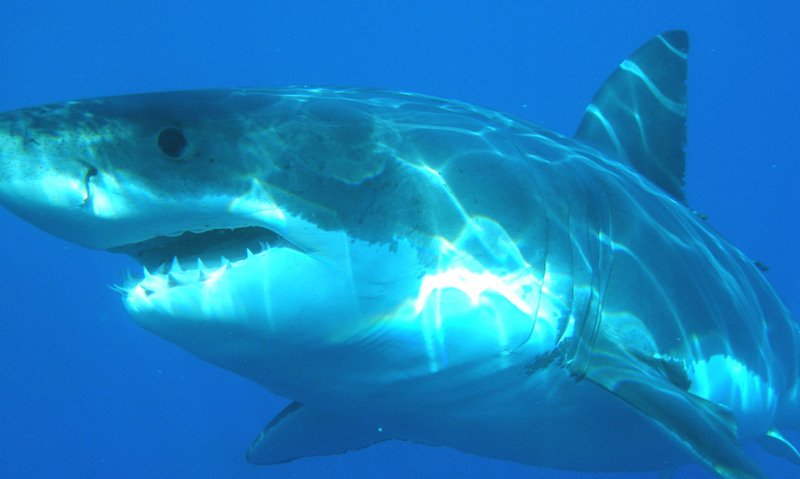 White sharks can dive as deep as 3200 foot (1000 meter) and can weigh more than 2 tons.